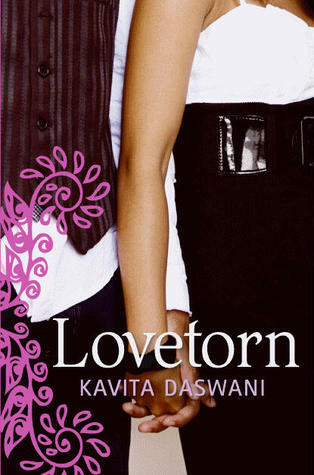 I will be giving away an ARC of Lovetorn by Kavita Daswani. This giveaway is INTL and ends July 17th. To enter fill out the Rafflecopter form below. 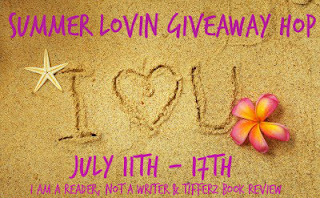 Don't forget to enter the other giveaways on the hop!!! When Shalini’s father gets a new job in L.A., she is torn away from her life in India and the boy to whom she’s been betrothed since she was three. L.A. is so different, and Shalini dresses and talks all wrong. She isn’t sure she’ll survive high school in America without her fiancé, Vikram, and now she has to cope with her mom’s homesickness and depression. A new friend, chill and confident Renuka, helps Shalini find her way and get up the courage to join the Food4Life club at school. But she gets more than just a friend when she meets Toby—she gets a major crush. Shalini thinks she loves Vikram, but he never made her feel like this. Awesome book prize! Thank you for the giveaway! Have you seen the book trailer for this? I love it! I've never heard of this author so thanks for the giveaway! Thanks for the awesome giveaway! I hope I win. I like the cover. Thanks for the chance to win! Book sounds good - thanks for the giveaway! This book sounds great. Thanks for the giveaway! Thank u for this awesome giveaway and making it international. The book sounds great. I'd love to read it. Thanks for a great giveaway the book sounds interesting. This sounds like a great book. Thx for the chance to win! Thank you for being part of this bloghop! Hope you are having a great summer. Sounds like a really cute read, haven't heard of the author, but sounds great! Thanks for the giveaway. I haven't heard of this one. Sounds interesting!